A woman, Ibukun Adebayo is fighting for her life in a hospital after being allegedly hacked with a cutlass by her estranged husband, Kehinde Adebayo. It was gathered that he accused his wife of engaging in extra-marital affairs with men. The incident happened at about 8pm on February 28 in the Saraki area of Adigbe in Abeokuta, the Ogun State capital, The Nation reports. Kehinde, according to sources tried to escape from Abeokuta after carrying out the attack, but was promptly arrested by the police. It was gathered that the duo’s 13-year-old marriage had been rocked by allegations of jealousy, constant beatings and inhuman treatment of Ibukun by Kehinde. 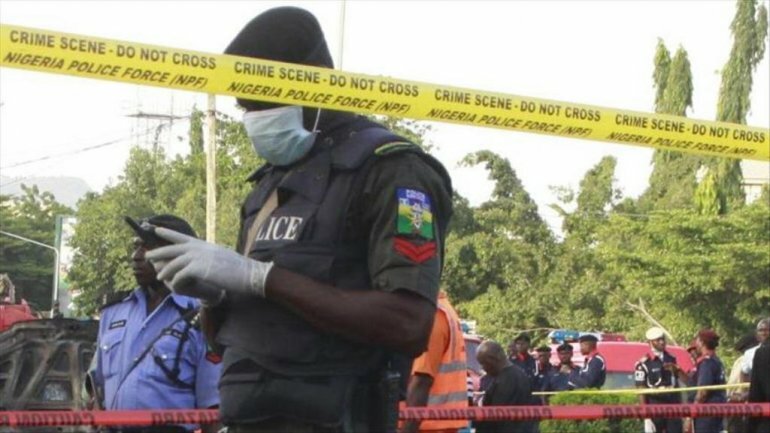 Kehinde was said to have trailed Ibukun to her new apartment on a motorbike and allegedly struck her with a cutlass and fled on his motorbike. Sources said Ibukun, a building materials merchant, had reported her husband to his parents all to no avail. "Yes, the story is true. 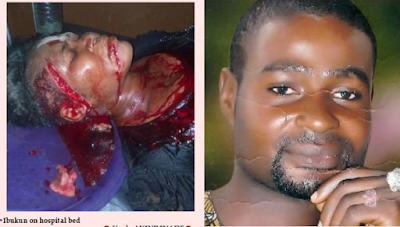 The man attacked his wife with a cutlass and inflicted serious injuries on her. He fled from the scene, but he was apprehended by our operatives.